"Through a lifetime of hunting - I have often asked myself "What is it that makes hunting so special?" - the answer is always the same - "Hunting is the ultimate adventure". Great hunts are about great experiences - great people - places - animals - adventure. Our hunts are about these things." - James Cagney. The magnificent Bull Tahr is one of the worlds most sought after mountain game animals. 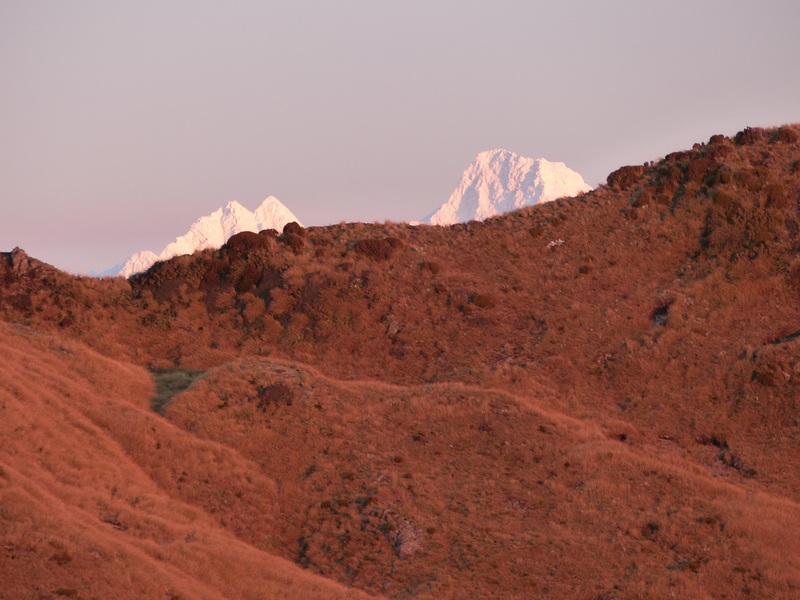 Our hunting grounds are located in the heart of the world's premier tahr hunting area. The tahr range in New Zealand is limited to the mountains of the central South Island region. 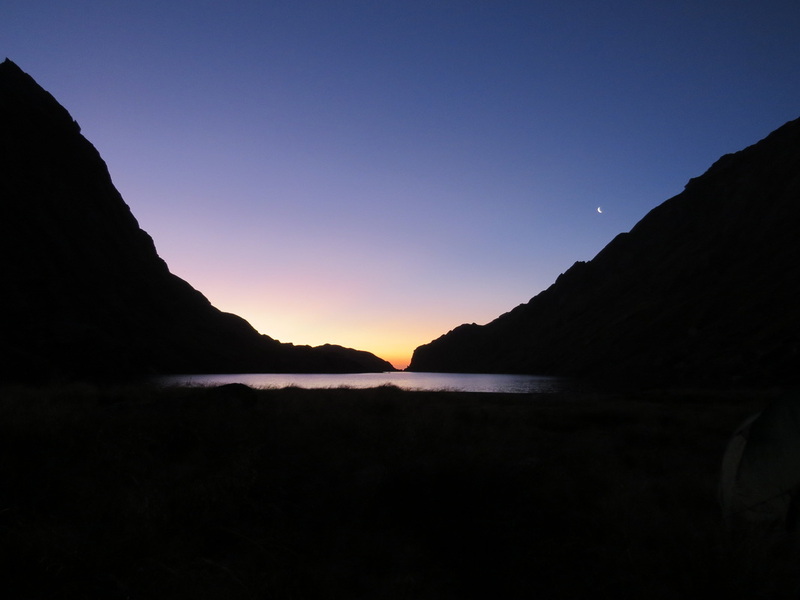 Our base is situated close to the prime Canterbury and Westland tahr hunting areas. 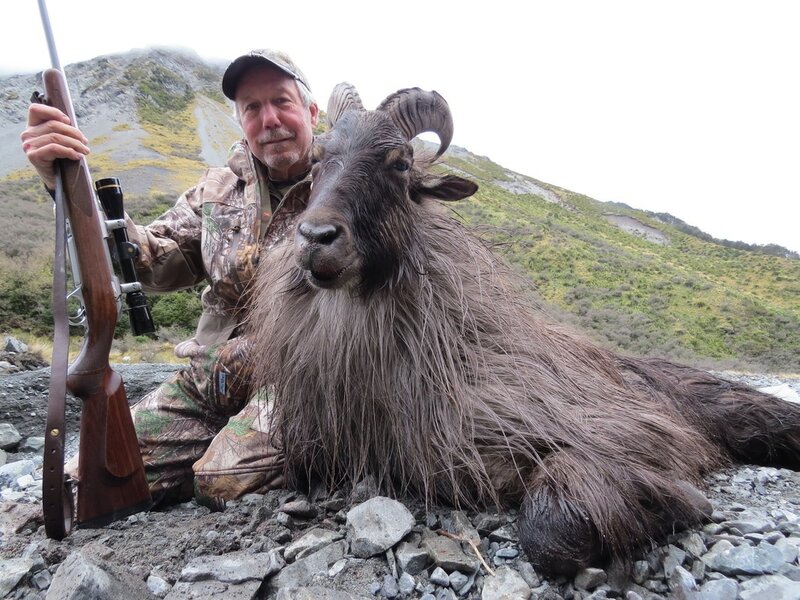 A New Zealand mountain tahr hunt is always an adventure and guaranteed to be a hunt to remember! 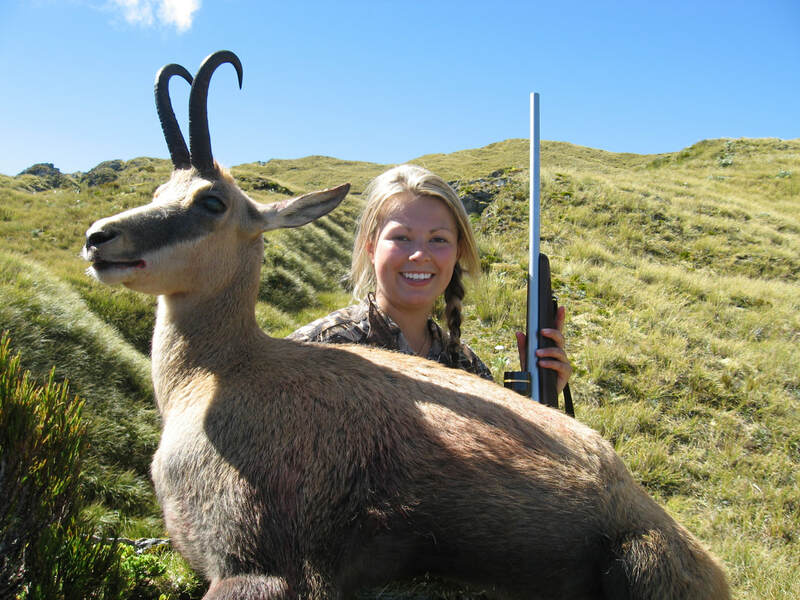 One of New Zealand's most prized game animals. Smart - nimble - beautiful and blessed with incredible eye-sight. Attractive in both winter and summer coat. The handsome chamois will test the mountain hunter and will provide the successful hunter with a trophy to be proud of. Chamois inhabit the mountains of New Zealand's South Island. 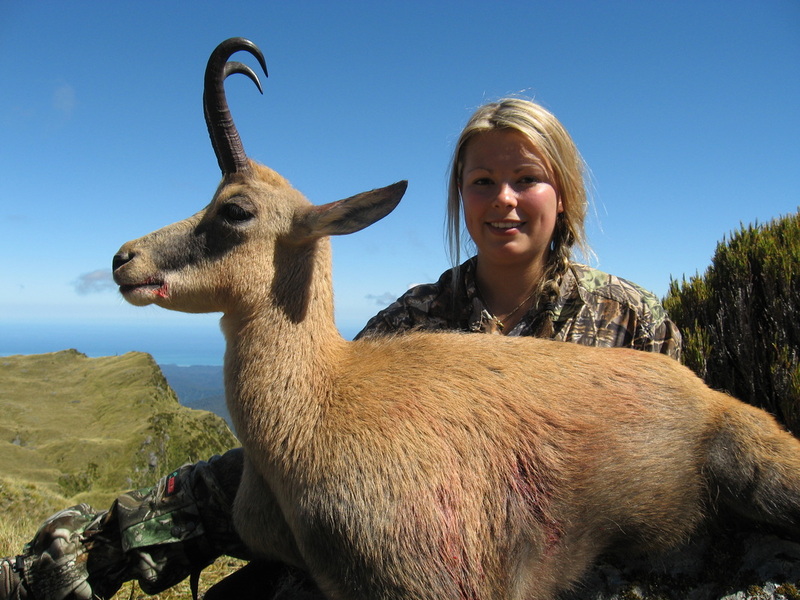 Our hunting areas are located in New Zealand's prime chamois hunting localities. Hunt chamois once, and you'll be hooked! 'Majestic' - 'Noble' - 'Regal' - The Red Stag needs no introduction. 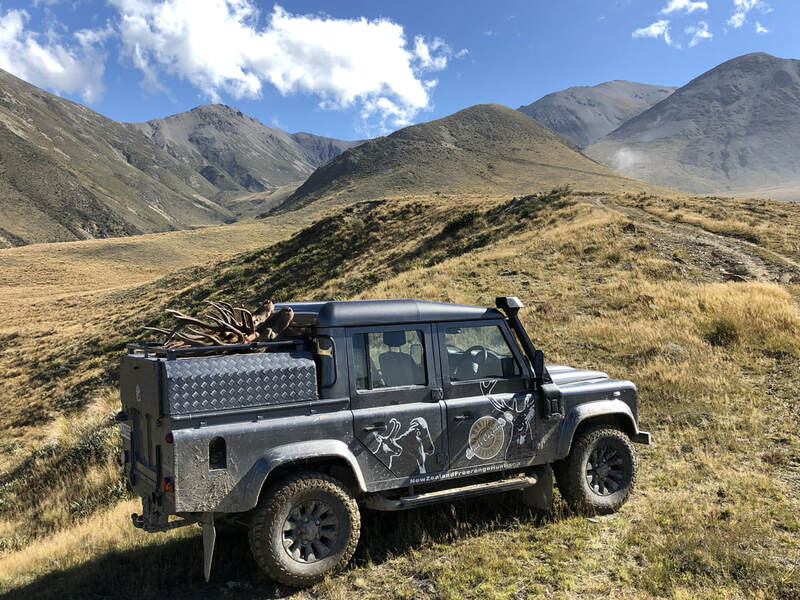 We are one of only a very small group of New Zealand outfits that offer genuine free range - wilderness red stag hunts - Our guarantee - No high fences - we hunt only genuine wild populations. Our Base at Lake Coleridge is in the famous Rakaia Valley - the home of New Zealand's most renowned wild trophy Red Stag herd. Genuine free range red stag hunting is some of the most exciting and challenging hunting you will ever experience. For the 'True hunter' it is a 'must do'. We urge you to do your 'due diligence' on New Zealand free range red stag hunting. 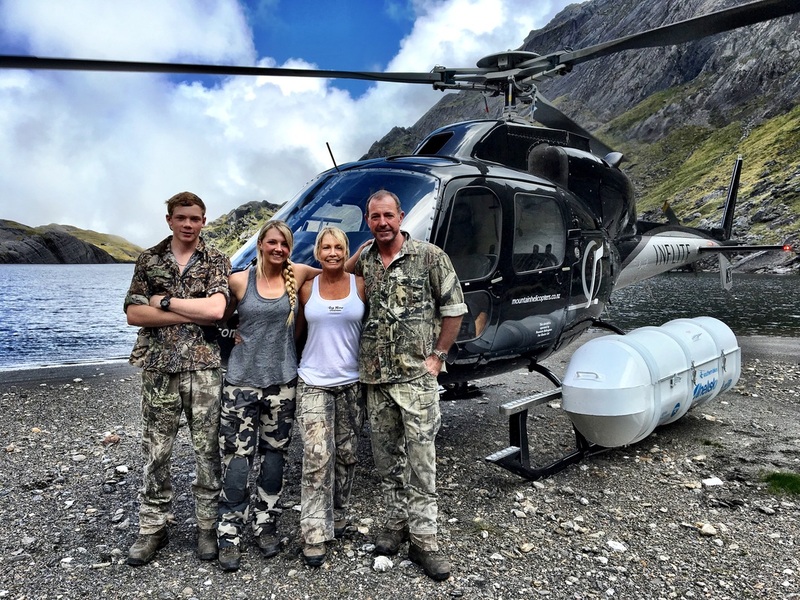 New Zealand offers the worlds best 'Estate' red stag hunting. If it's really big, it's fair to say that it's most likely a game estate stag or once was. 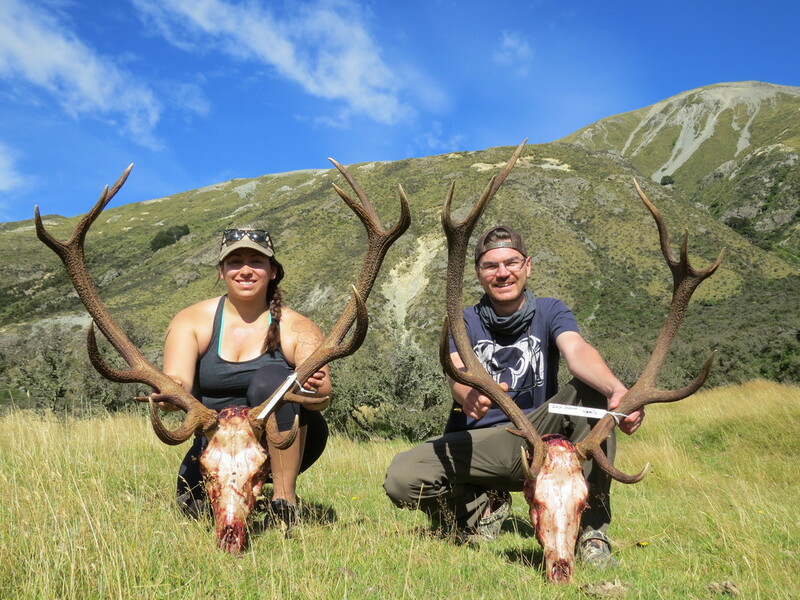 With regard to antler size - your expectation of a genuine free range trophy red stag hunted anywhere in New Zealand should be somewhere in the range of 240 - 300 inches. 300 - 320 inches is an exceptional genuine free range red stag. If a stag is much bigger than that, most informed people would agree, it is probably not a genuine free range animal. 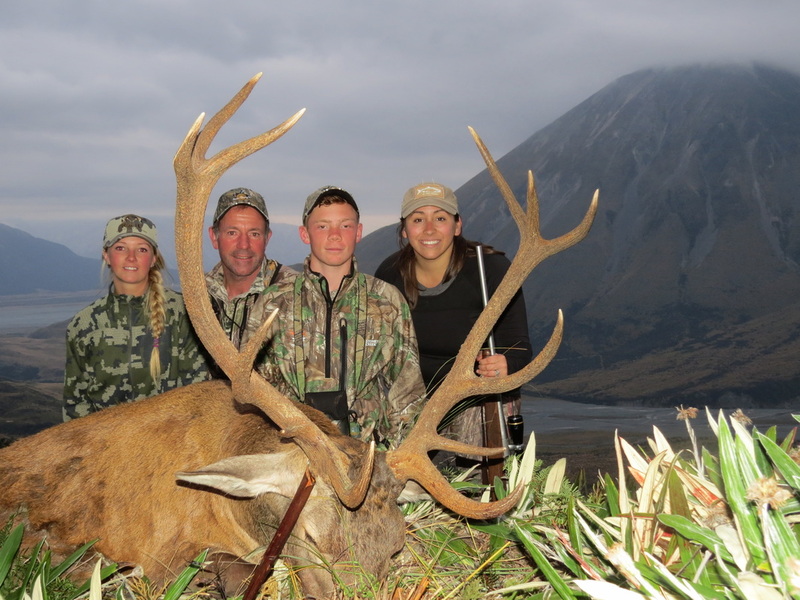 If you are after a really big Red Stag, 320 inches or bigger, hunt on a New Zealand game estate. If you are looking for a genuine wilderness free range stag hunt - one of the most thrilling and challenging hunting experiences of your life - come and hunt genuine free range red stags with us. When comparing game estate vs genuine free range red stag hunting - the animal is the same, but the antler size and the experience and challenge of the hunt are quite different. A genuine free range red stag is a trophy to be truly proud of. We hunt free range red stags from February to August. A popular time to hunt is during the rut or 'roar'. This period is from the last week of March through to the end of April, with the usual peak of the rut in the first two weeks of April. 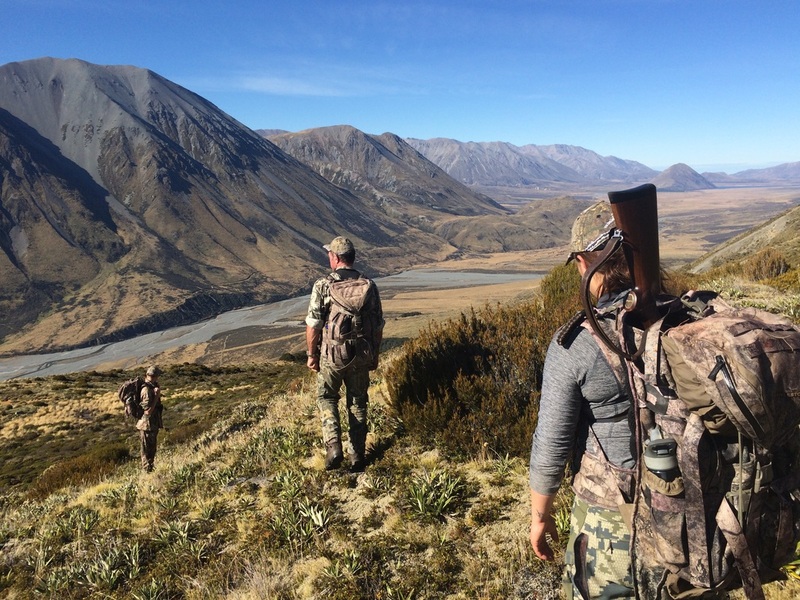 We encourage our hunters to add some additional days to their time in New Zealand to hunt small game, game birds or to fish. We offer exceptional wallaby and hare (jack rabbit) hunting. These animals are varmints and there is no limit on the number that can be hunted. Our hunters love this high volume fun addition to their trophy hunt. 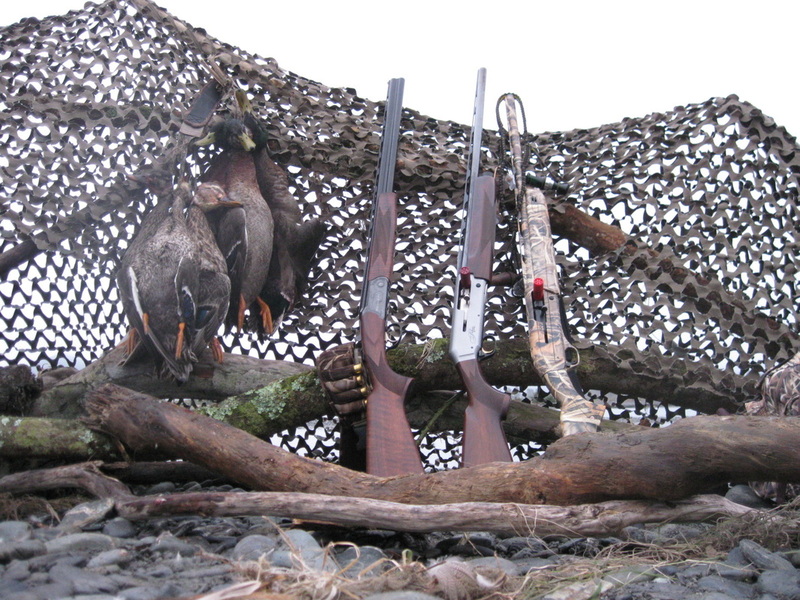 We offer very good waterfowl hunting as an addition to your big game hunt. When in season we offer traditional Canada Goose and Mallard hunts. We also offer great hunting opportunities on some of our unique native waterfowl - Paradise Shelduck, Black Swan and Pukeko. Our game-bird season runs from the first Saturday in May through until the end of July. New Zealand has generous waterfowl bag limits. Our Canada Geese are 'greaters' or 'honkers', they can be hunted all year round with no bag limit. We hunt Paradise Ducks, Mallards, Canada Geese, and Black Swan over decoys from permanent or layout blinds. We are fully equipped with quality shotguns, layout blinds and decoys. ​Pukekos are hunted in a similar fashion to pheasants and other upland game in North America, but in swampy and pasture fringe country. We call these unique birds 'West Coast Blue Swamp Pheasants'. They are a lot of fun to hunt. Fishing can be arranged on request. 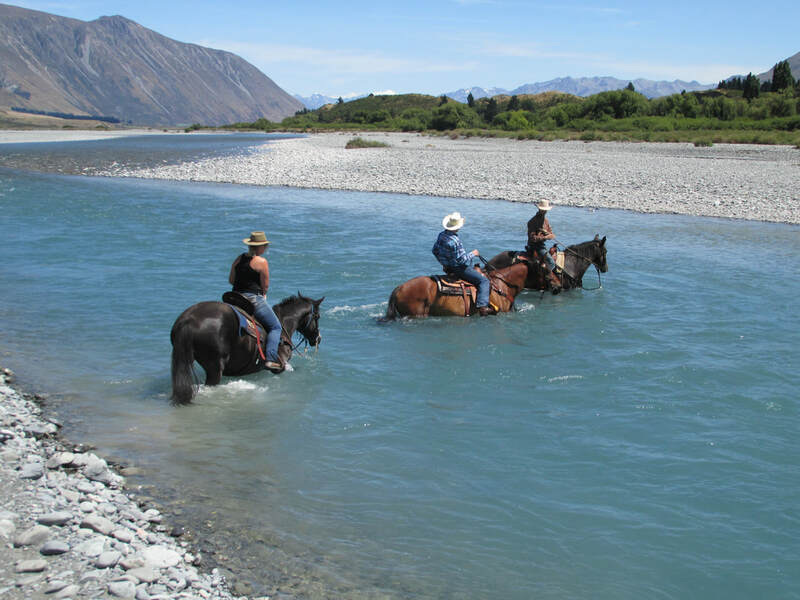 We can arrange non hunting activities - We have a horse trail riding operation based out of our Lodge at Lake Coleridge. 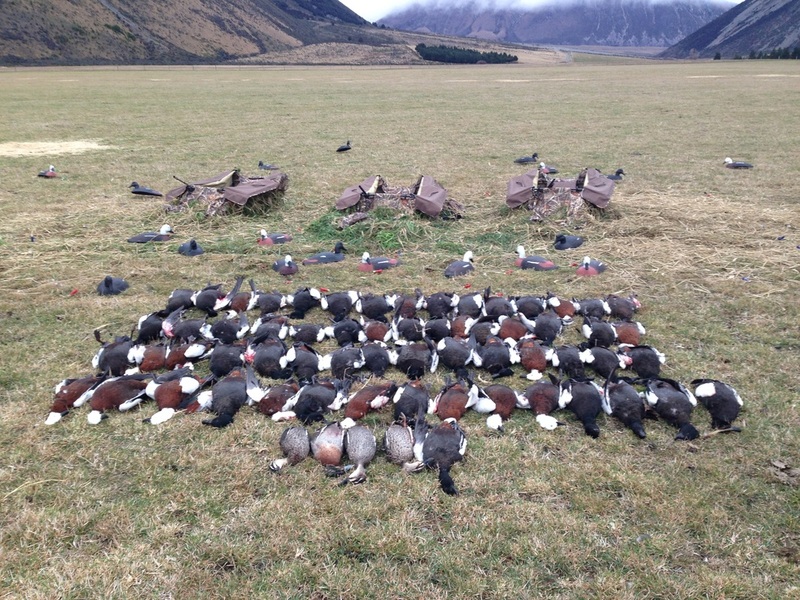 We can also help you plan a New Zealand or South Island tour before or after your hunt. ​Base and staging point for our hunts. Award winning design with 3 private double guest rooms and private bathrooms. 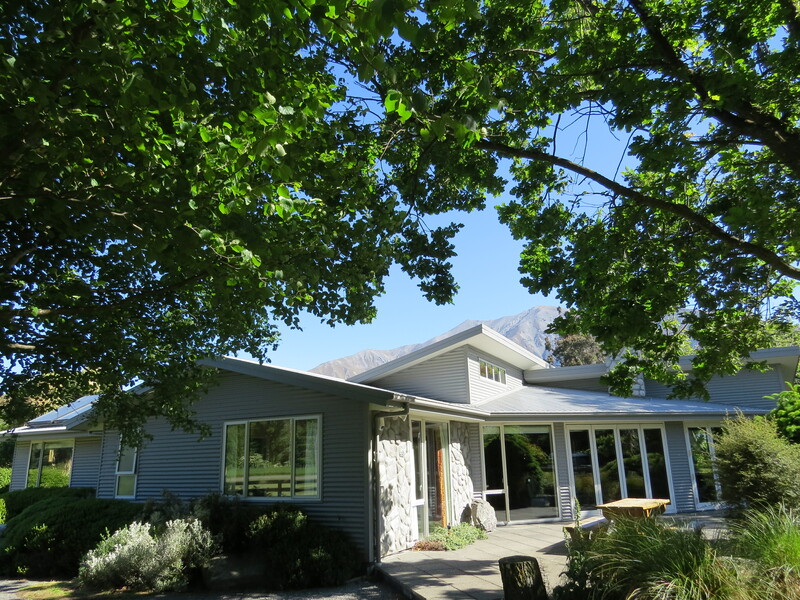 Situated at Lake Coleridge, the Lodge is a 1 hour and 15 minute drive from Christchurch International Airport. We provide pick up and drop off from Christchurch and we cater for all of your lodging and meal requirements for the duration of your hunt. Deb is an outstanding cook, wild game is her speciality. We make full use of the meat from all game animals harvested. Beer and wine is provided complementary. While hunting out of our camps you have the option of enjoying our partnership arrangements with premier private wilderness free range hunting properties. Camp accommodation includes a large luxury cabin with hot and cold running water, shower, double glazing, gas cooking, refrigerator, comfortable made down double and single bunks, private guests room and warm wood burning stoves. A pleasant scenic drive from the lodge, through magnificent South Island high country will soon have you at the doorstep of the comfortable luxury cabin in the heart of prime, exclusive - free range tahr and red stag country, amid magnificent mountain scenery and some of the best mountain hunting available anywhere in the world. 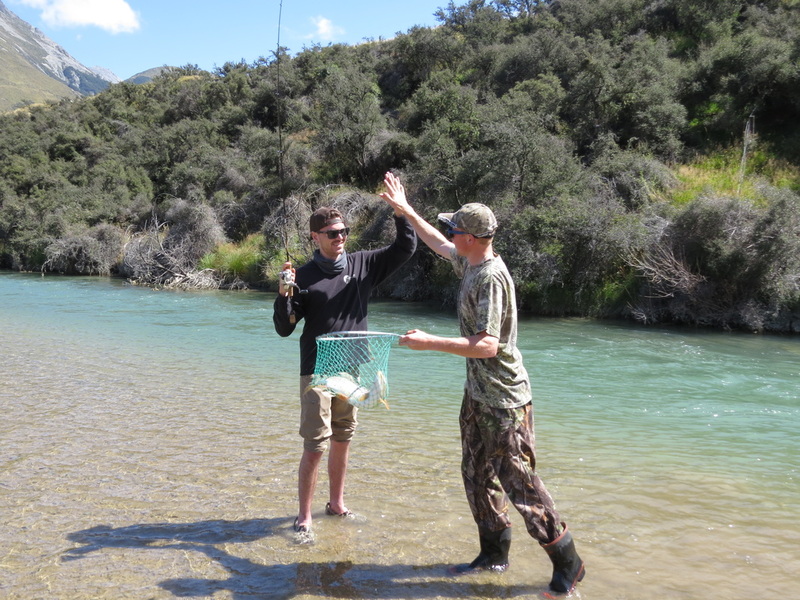 Our helicopter access fly camp hunts are accommodated in spike or fly tent camps. Check out some of our camps in the photo gallery. We provide all camp equipment including tents, flys, clean sleeping bags and sleeping mats, camp chairs, all cooking equipment and eating utensils. Sleeping bags and camp pillows are washed between hunts. Our luxury cabin is decked out with very comfortable made down beds and a full kitchen. We have top quality loan rifles equipped with high quality optics. These and quality shotguns are available for loan free of charge if required. A quality spotting scope and range finder are also provided. All road and air transport from Christchurch International Airport or any Christchurch city hotel is included in our package rates including return transport to Christchurch. All meals are provided for the duration of your hunt including camp meals and lodge meals, beer and wine. We photograph your hunt including trophy photography. These photos will be made available to you at the end of the hunt. If you wish to bring your own rifle, this can be easily arranged. It is easy to bring a rifle with you into New Zealand. A simple import form and New Zealand visitor's firearms licence can be completed online on the NZ Police website. This must be completed no less than one month prior to travel. Go to the NZ Police website to learn more and to complete your application. 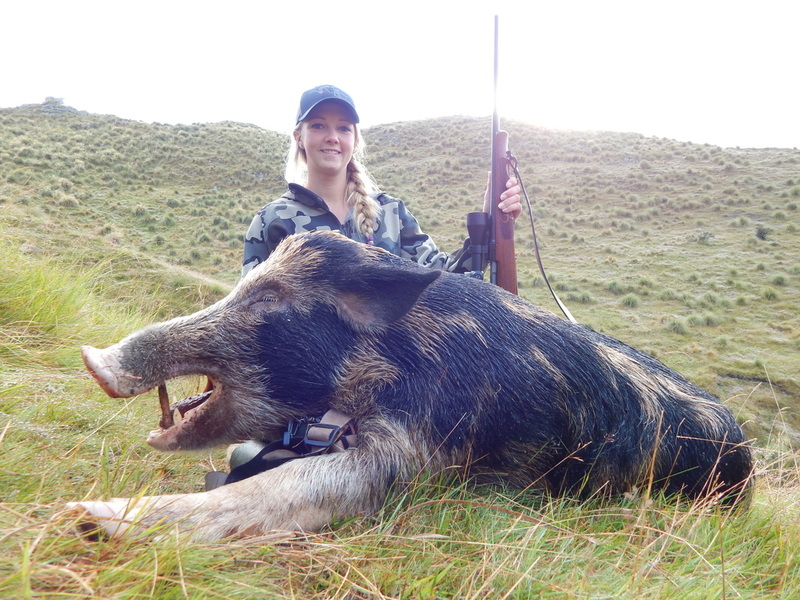 New Zealand airports are accustomed to visiting hunters traveling with rifles and the processes are seamless. We are expert at field trophy care and will ensure that your capes and skins are given the very best of handling and care. We can make arrangements for your taxidermy and shipping, or expediting - dip and ship. If you wish to take your skins, capes and trophies home with you and you have sufficient time in your program we can prepare and salt your capes and skins and boil and bleach skulls prior to your departure. We can also arrange your trophy export documentation. Our hunts are true 'Hunters Hunts', we understand that the experience is just as important as a quality trophy. All hunts are genuine free range wilderness hunts. In contrast to New Zealand's unregulated and often over hunted public hunting environment, our private land hunting partnerships allow us total management of how many and which type of animals are harvested annually, allowing us optimum management of herd densities and trophy quality. All in all this provides a far superior free range hunting experience than can be achieved on public land. This is spectacular and awe-inspiring mountain county - some of the wildest, most beautiful country on earth. We can tailor our hunts to suit your fitness level and physical ability. 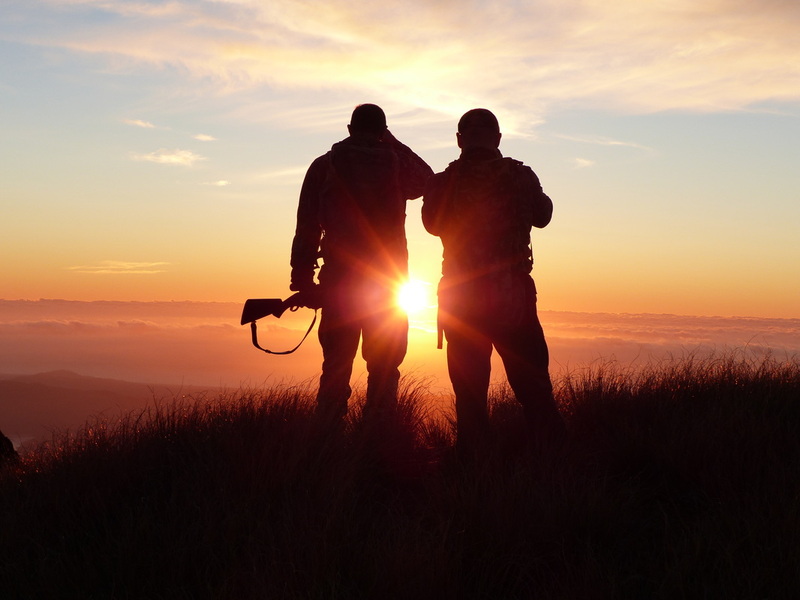 Our hunting style is typical of mountain hunting anywhere in the world - walking and lots of glassing. Typically our hunting is 'spot and stalk'. Our terrain is best suited to rifle hunting, although we do cater for bow hunters. We have a number of hunt packages and combinations which you can view below, or we can tailor a hunt to your requirements. 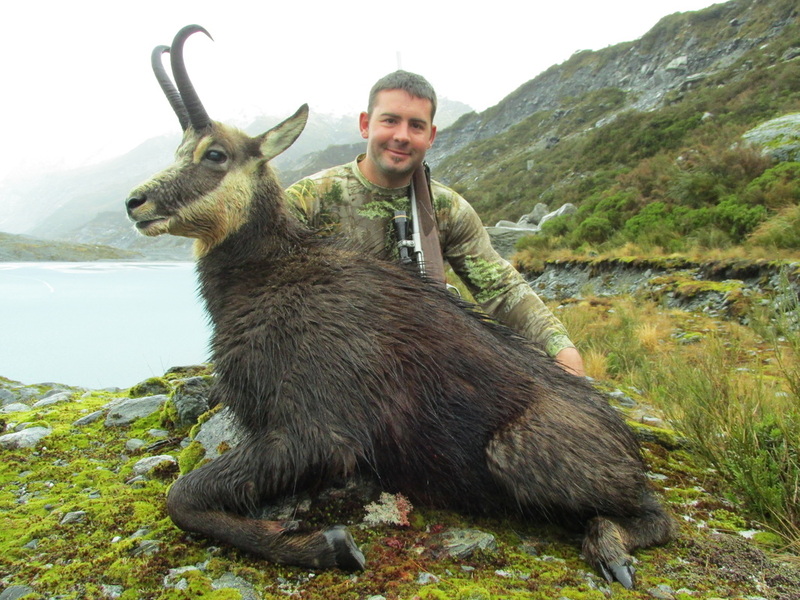 We average a 95% + success rate on our free range - wilderness Red Stag, Tahr and Chamois hunts. 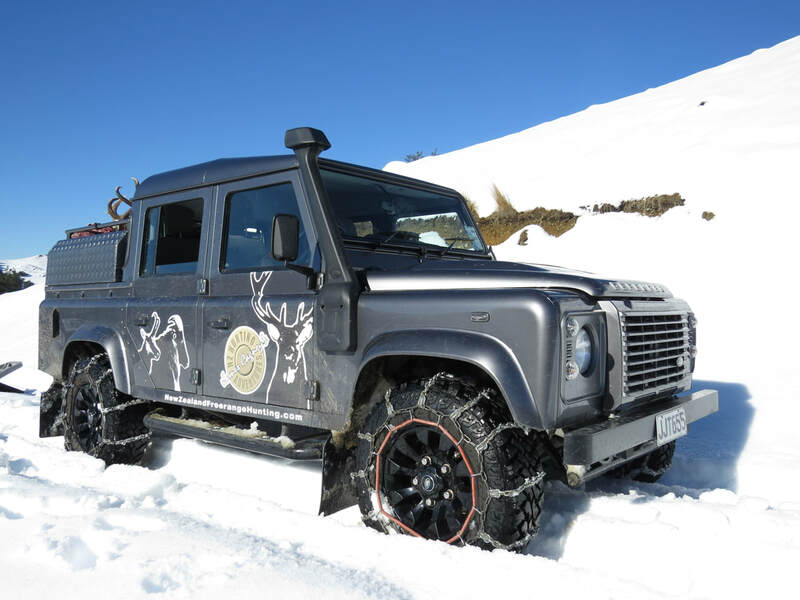 Access to our private land hunting areas and cabins is by Land Rover. Most of our hunts do not require the use of a helicopter. The nature of our mountainous terrain means that a helicopter is sometimes used as a mode of transport for travel into our remote spike or fly camps. In New Zealand we have few regulated limits for the use of helicopters for hunting access and there is no limit on hunting after flying. ​Helicopter costs are included in our package rates where required, so you the hunter know exactly what your hunt is going to cost before you book or hunt. 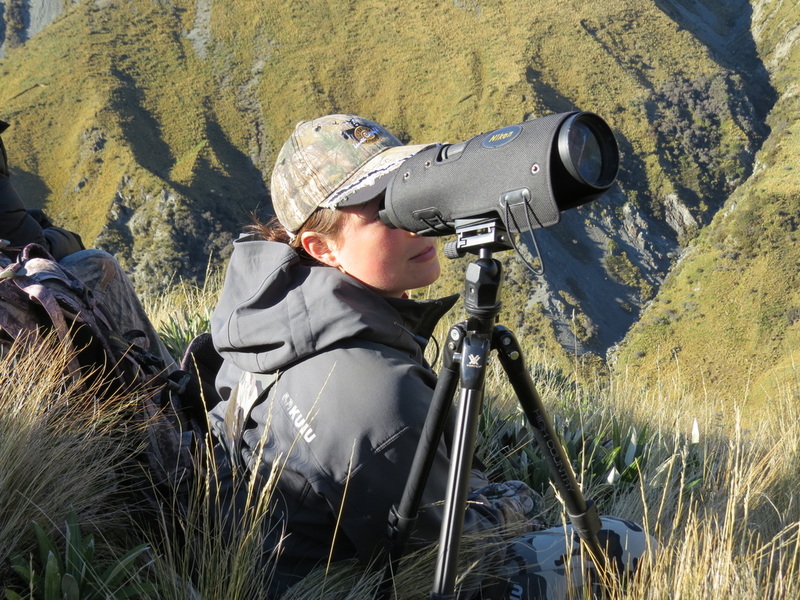 Our all-inclusive package rates differ from most New Zealand hunting outfits, most outfits charge the helicopter costs over and above their advertised hunt rate. This can cause some unexpected surprises when it comes time to settle the bill at the end of the hunt. Remember - our package rates include helicopter costs. The helicopter operators we use are among New Zealand's very best. These guys are absolute professionals with very good local area knowledge and modern well maintained machines. All of our pilots hold commercial licences and are highly experienced in mountain flying. 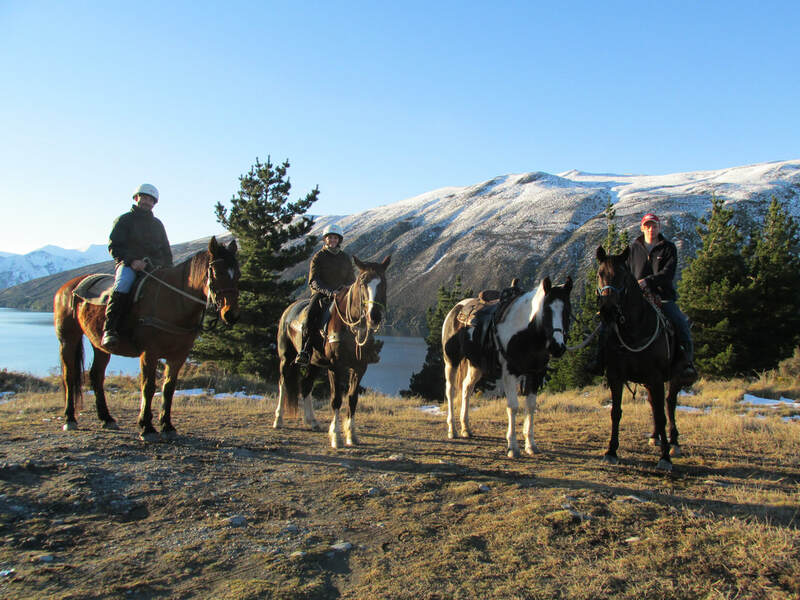 We offer an option of a horseback hunt on our Red Stag, and Chamois hunts. Contact us for further information. Go to Price List to view our prices. Premier private wilderness hunting property with Lodge or cabin camp accommodation. Land Rover access. Hunting is spot and stalk, the terrain is mountainous but not daunting, a reasonable level of physical fitness is required. Premier, private wilderness hunting property with luxury cabin accommodation, Land Rover access. ​Premier, private wilderness hunting property with cabin camp accommodation. Land Rover access. ​- 7 day Private Mountain Land Hunt. Premier, private wilderness hunting property with luxury cabin camp accommodation. Land Rover access. Fly tent camp accommodation for Chamois hunt with helicopter drop-off and pick-up at beginning and end of the hunt. ​Option of - Fly tent camp accommodation for Chamois hunt with helicopter drop-off and pick-up at the beginning and end hunt. Premier, private wilderness hunting property with luxury cabin accommodation. ​Option of Fly tent camp accommodation for Chamois hunt with helicopter drop-off and pick-up at beginning and end of Chamois hunt. Go to Price List to view our full price list. 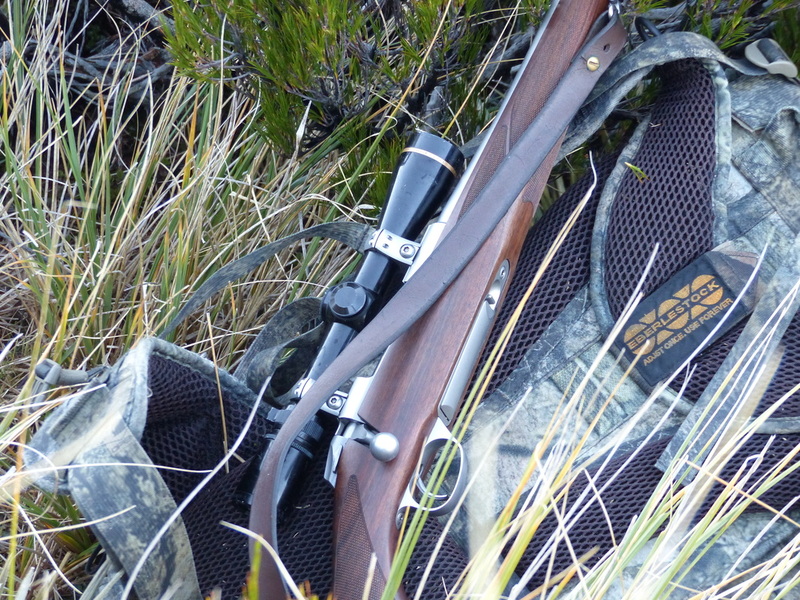 With the exception of game bird hunting, New Zealand has no regulated hunting season, we can hunt 365 days of the year. Our guiding season is influenced by the period that the red stags are in hard antler and the condition of the tahr and chamois capes. We operate all year round. As New Zealand is in the Southern Hemisphere, our seasons are the opposite of the Northern Hemisphere. Fall / Autumn - March, April, May. Moderate temperatures, generally settled weather. Winter - June, July, August. Cold with long settled periods between winter weather systems. Snow cover in the mountains. Spring - September, October, November. Warming and thawing weather interspersed with periods of rain, wind and unsettled weather. Summer - December, January, February. Warm or hot temperatures - generally settled weather. New Zealand has a combination of a maritime and mountain climate, our weather can change rapidly including unseasonal temperature changes. We can experience long periods of settled weather, but always be prepared for four seasons. Chamois can be hunted all year round. They are in their prime dark winter coat from approximately April to September. From October until mid January they are in moult and the capes are not good for mounting. From late January chamois are in their beautiful golden summer coat. Through March this changes to an attractive bronze colour during transition to the dark winter coat. The chamois rut is through May into June. This is a great time to hunt chamois as the bucks are with the female groups and are very active. Summer (late January through into March) is also a great time to hunt chamois. The days in the mountains are warm and long, the nights are mild and the weather is generally settled. The mountains are clear of snow and the animals are active in the open tops above the tree line. During summer the chamois coats are a beautiful golden colour. This is a fantastic time to be in the mountains hunting. 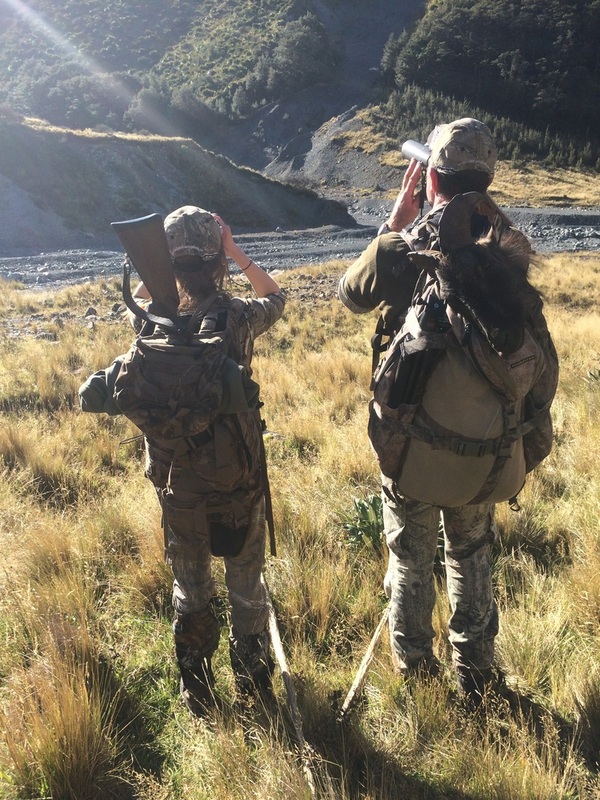 Take a break from the northern winter and come south for a southern - summer chamois hunt! March through to November is the time to hunt tahr. This is the period the bulls are in winter coat. The full mane of the winter cape is one of the real stand out features of the bull tahr. The tahr rut is end of May through June and into July. 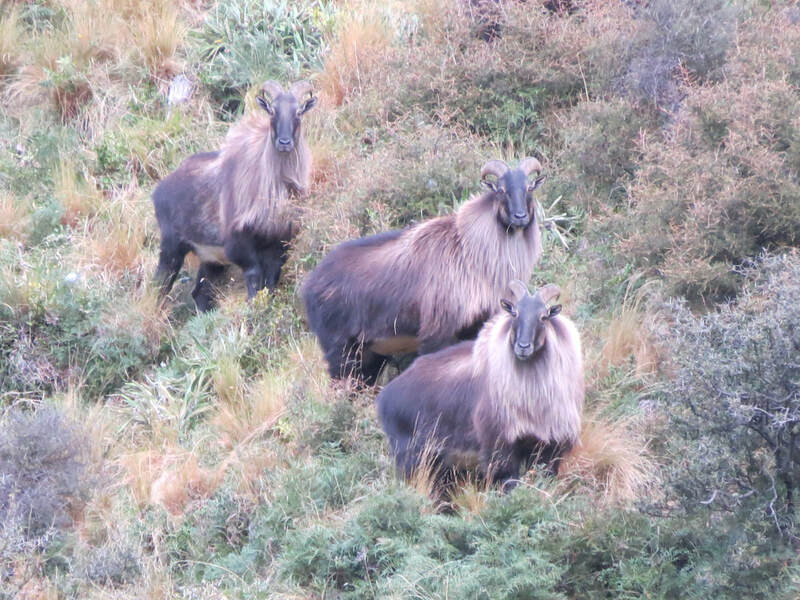 This period is the prime time to hunt bull tahr, the bulls are with the female groups and are very active. This is also the period that the tahr capes are in their winter prime condition. Spring is also a great time to hunt tahr. The winter capes are good through to October, the bulls are active and we have great tahr hunting country on the dryer eastern side of the Southern Alps that allows good tahr hunting during the spring months. 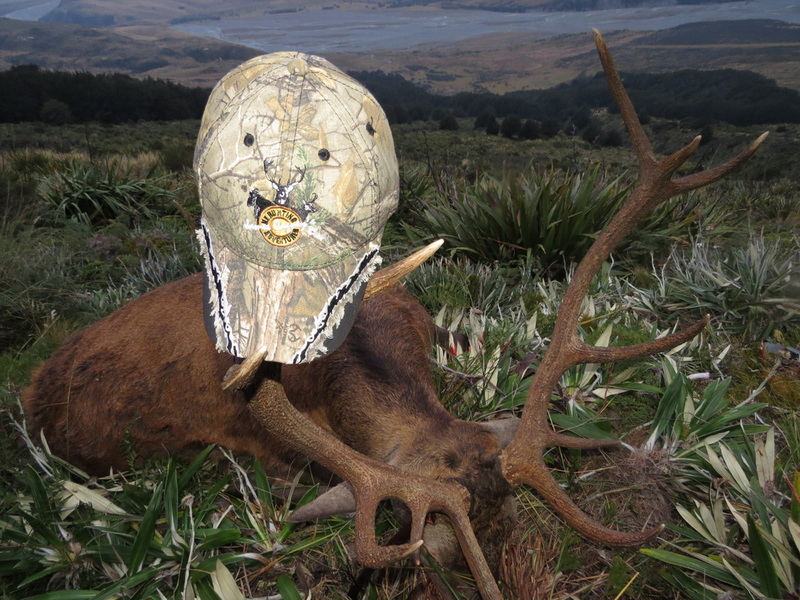 New Zealand Red Stags are in hard antler from February to August. Free range stags can be hunted any time during this period; however, we highly recommend hunting during the rut or 'roar'. The rut generally runs from the last week of March through to the end of April with the peak of the rut during the first two weeks of April. This is when the red stags are most active, they are very vocal, roaring their challenge to opponents. The hunting during the roar is nothing short of thrilling. February is another good time to hunt red stags. The stags are usually still in the high open mountain country above the tree line, the weather is generally settled and it's a great time to be in the mountains. Our waterfowl season for Mallard and Paradise Ducks runs from the first Saturday in May through to the end of July. Canada Geese can be hunted all year round. Safety - We operate under a comprehensive Health & Safety plan. Guides are first aid trained and carry emergency beacons and communication equipment. All vehicles, camp and hunting equipment is modern and well maintained. We use only the best helicopter operators - highly experienced professionals with modern, well maintained aircraft and extensive mountain flying experience. 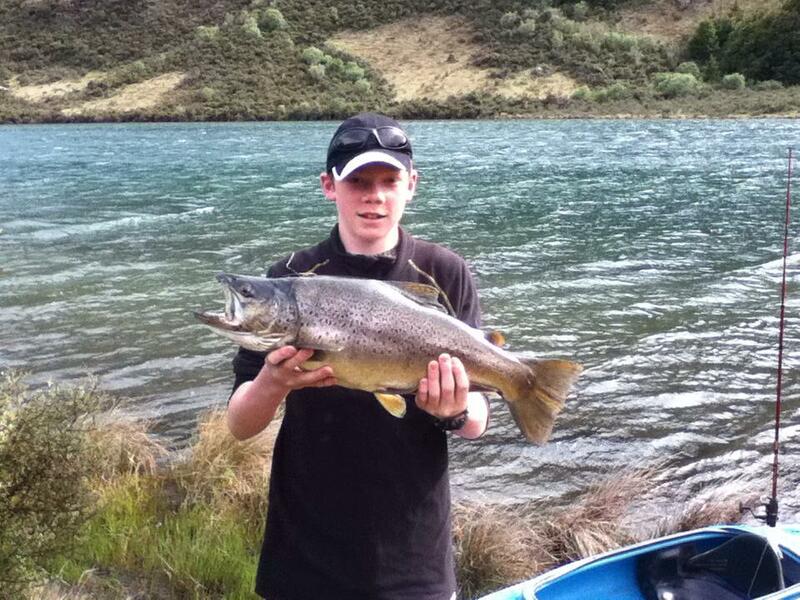 Quality Guides - Highly experienced in mountain hunting and guiding in New Zealand and North America. Fully and widely trained and well equipped. 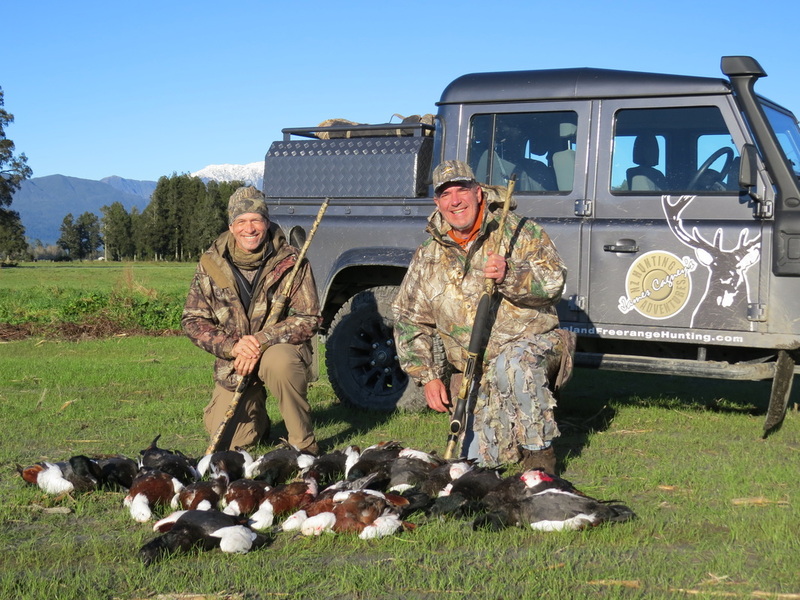 James developed and runs the 'Professional Hunter Academy' - Guide Training Program for the New Zealand Professional Hunting Guides Association. The training academy is separate from our guiding operation. The Best Private Hunting Areas - We believe our private wilderness free range hunting areas are 'second to none' - with magnificent wilderness country, high quality genuine free range game herds, quality accommodation and an unmatched hunting experience. 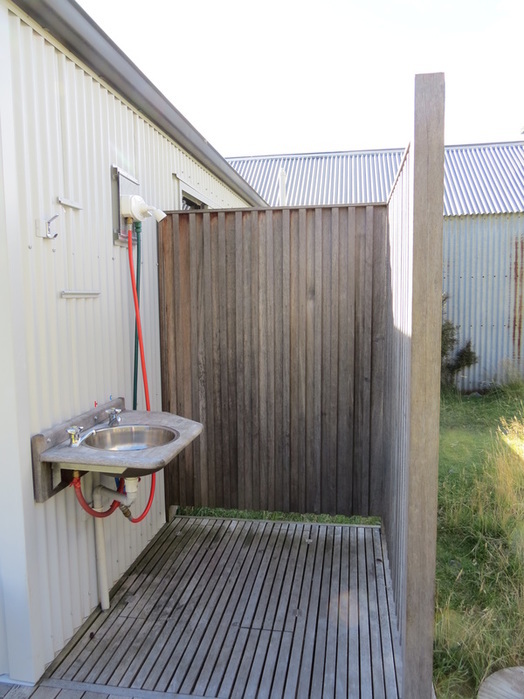 Location - We are situated only 1 hour and 15 minutes drive from Christchurch International Airport. 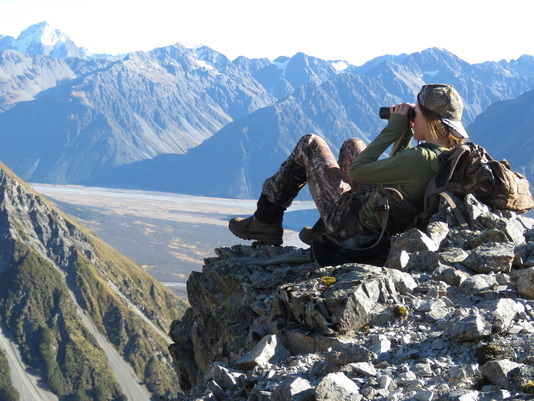 Our Lodge and hunting area is in the heart of New Zealand's South Island prime mountain hunting country. Quality and Professionalism - We are proud members of the New Zealand Professional Hunting Guides Association - your assurance of quality. We strive to be New Zealand's premier free range hunting outfit. When you compare our prices you will see that our prices are competitive, but not the cheapest in the market. This is because it costs us a little more to outfit our premier free range hunts. It costs us a bit more for our partnership arrangements with the best private hunting areas. We don't strive to be the cheapest - we strive to be the best ! FUN !! - You'll have fun with us! We pride ourselves on our professionalism, but we also pride ourselves on our sense of fun. Our lodge and our camps have a relaxed, friendly, family approach. I hope you like fun and plenty of laughs - we do ! We're in this game for the right reasons - To us this is a whole lot more than just a business - hunting is our life. We live for hunting and enjoy nothing more than sharing great adventures, great times and creating life long memories with like minded hunters from around the world. Many of our hunters have become dear friends. As hunters, we share a strong and common bond. Genuine free range hunting is our true passion - truly wild places and truly wild animals.